Love your food, nourish your body, fuel your mind. Hi there, I’m Michelle, an Accredited Practising Dietitian and nutritionist based in Sydney, Australia. 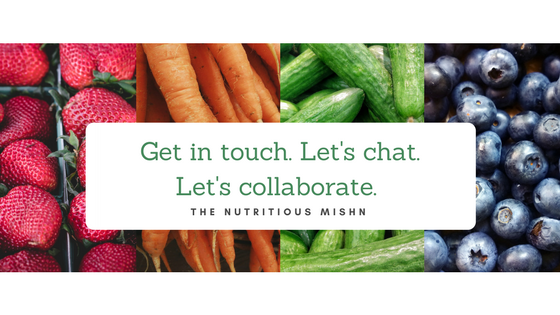 My nutritious mission (or ‘mishn‘) is to help you reach your health goals by nurturing a healthy and positive relationship with your food, eating and body. My key areas of interest are mental health, chronic disease management and behaviour modification. Other areas I have worked in include: family and childhood nutrition, intellectual disability, weight management and general healthy eating advice. When I’m not wearing my dietitian hat, I’m a self-proclaimed foodie, amateur yogi and lover of cooking! You’ll see my Japanese-Taiwanese heritage leaking into my cooking and recipes too. So come along with me for a kitchen full of healthy, delicious and real recipes! Follow me on Instagram for updates, home cooking and the everyday food tips. Keen to collaborate? Got a question? I’d love to hear from you! Get in touch with me here. Costs are estimated based on prices of major supermarkets and grocery stores in the Sydney metropolitan area at the time the blog was published, and may not reflect current prices or other locations. Nutritional information for recipes are based on FoodWorks Xyris Software© Australia 2015-2017. Food photographs and all content are my own. Please do not use my images and work without my permission. If you would like to share this recipe, please link to this post as the original source or re-write in your own words. Thank you! Background photographs are sourced from Unsplash.com and Pexels.com. Please contact me if you would like further references for the content of my blogs.